I am thrilled to be able to announce (finally!) 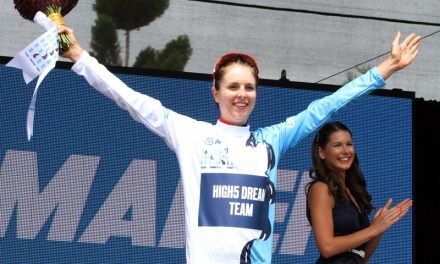 that I will be spending the next three months with the newly formed High5 Development Cycling Team and in less than a few weeks will be jetting off to live abroad in pursuit of chasing my ambition of becoming an international professional cyclist. 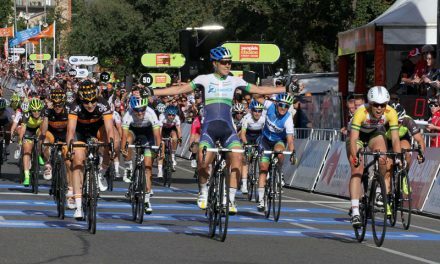 At the beginning of the year, the prospect of pursuing this dream looked dismal due to the lack of support in the women’s road cycling program. 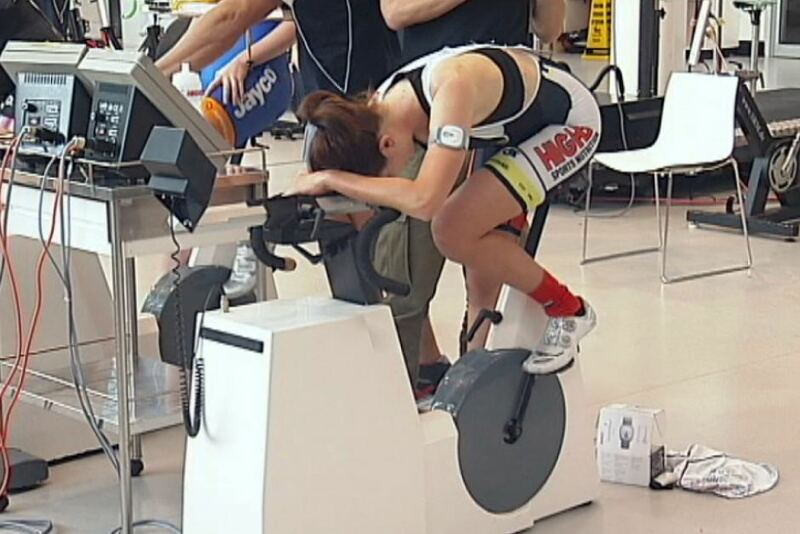 That lack of belief for a future in Women’s Cycling fell to an all-time low within Australia with many questioning it’s potential and leaving many, including myself, in doubt and uncertain in our abilities. However as the news spread across the nation, others saw our capability and drive to compete at an international level which lead to the program being revived and in turn, saving one of the very few pathways to make it into the European race circuit. Selection Camp the second time round I had a little more to offer – in terms of ability on the bike, doing a little more growing up and far too much confidence for my own good… I found my experience slightly more positive. Coming into Selection Camp I had the attitude, “I ain’t going home until camp is completed!” Which supported the very risky idea of not purchasing a Flexi-flight ticket (mainly because their bloody expensive) but to confirm my commitment to myself that I was staying until the end. Half way through camp, the first elimination round came and I made the conscious decision to not disassemble my bike or pack up my bags. I had a chip on my shoulder from the last time I attended Selection Camp in 2013 and I was not ready to leave yet. Making it through the elimination (thank god… or else I would have been in so much trouble for not packing my belongings up) the next half of the camp proved to be extremely strenuous and mentally draining – however, I can now say I have completed AIS Selection Camp and survived to tell the blog! Our trip to Europe will commence in Mid-July and shortly after we arrive and settle into the base located in Italy, we will be venturing off to Germany for Thuringen Rundfarht, and then a quick a trip to Belgium for several local kermesses, following a short period to recover and before we know it we will be on the road again for some Europe’s most prestige races in France – Route de France, Trophe Dor and Tour of Ardeche. Did I mention we are fitting this all into a three month block !?! In addition to all this exciting news I am extremely grateful to have received the Elite Athlete and Performer Scholarship and also the Direct Athlete Support Scholarship from Australian Catholic University. ACU has been very helpful by offering flexibility with all lecture/ tutorial content and exams, especially during my busy race schedule! ACU’s Elite Athlete Program has also been very supportive by helping organise to take my studies abroad … Keeping me on track to completing my university degree by 2020! I also wanted to use this time to express my appreciation to all the people in my life who have supported me in reaching this achievement. My family and coach Marcel have stood the test of time and have never doubted my ability since taking up cycling, QAS for their on-tap access for additional support and Julie and Team from Revive Ashgrove for closely working with me through the use of physiotherapy. As the saying goes, there is no ‘I’ in team and I wouldn’t be making this step up without my support network. 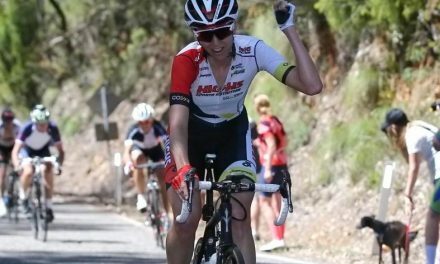 Lastly, Rochelle Gilmore deserves full recognition for her vision, motivation and hard work in her pivotal role of creating this fantastic opportunity now and what I believe, to be an exciting future for women’s cycling in Australia! BTW! I have also heard along the grapevine that this trip will be well documented through a televised weekly program on Fox Sports: FullCycle (more details to come). 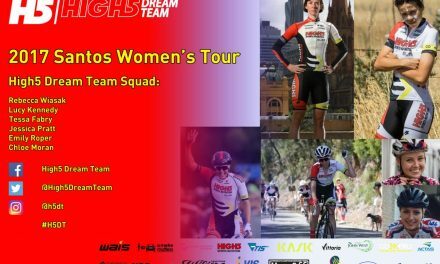 In addition, to all this exciting news it does slightly worry me that everyone will get to witness my severe OCD cleaning tendencies and more than likely see tears (I am truly an ugly crier haha), however it will be great insight into life on the road and the women’s peloton! Catch ya’ll on the flip side. Ciao!